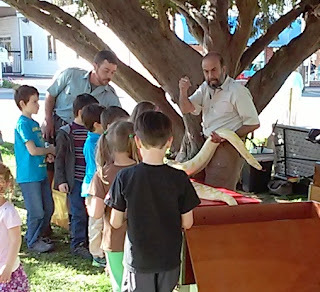 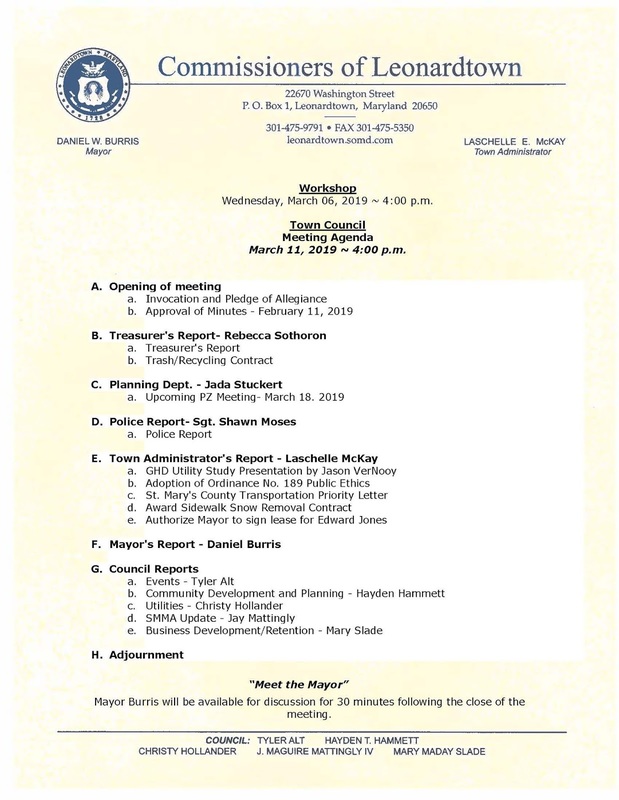 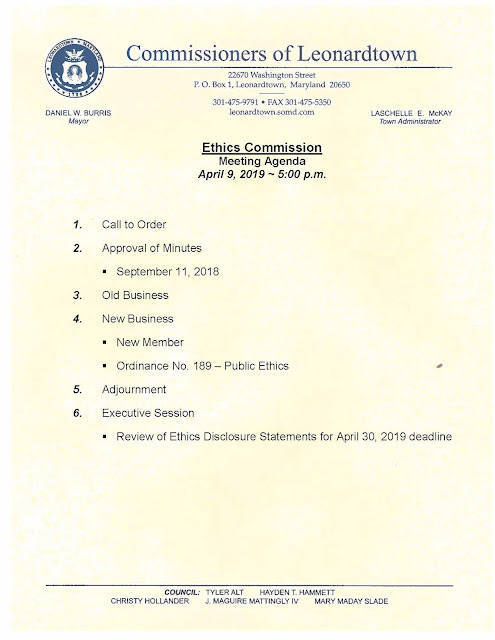 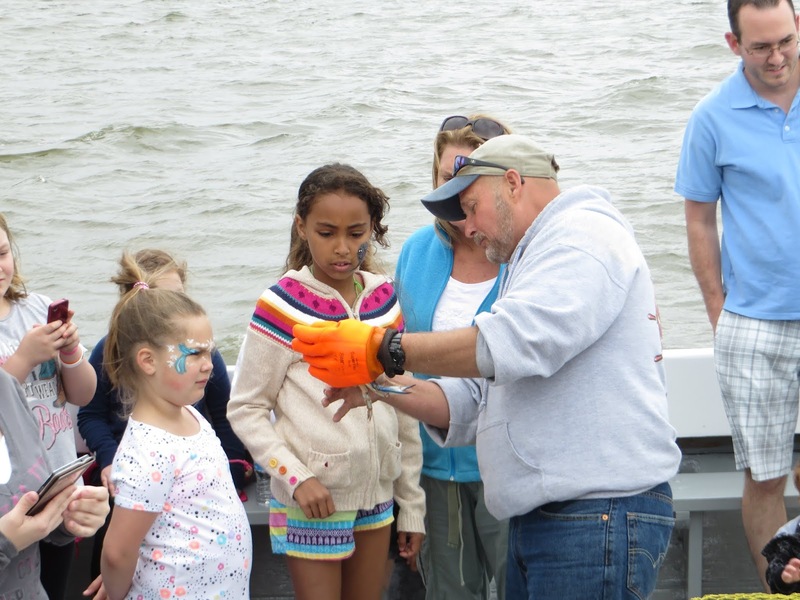 Planning and Zoning Commission Meeting - Monday, April 15, 2019 at 4:00 p.m.
Town Council Meeting Agenda for Monday, April 8, 2019 at 4:00 p.m.
Ethics Commission Meeting to be held on Tuesday, April 9, 2019 at 5:00 p.m.
Town Council Meeting Agenda for Monday, March 11, 2019 at 4:00 p.m.
You can also find the agenda and supporting documents on BoardDocs at https://www.boarddocs.com/md/tolmd/Board.nsf/. The link to BoardDocs can also be found on the Town’s website on the front page left side under Quick Links. 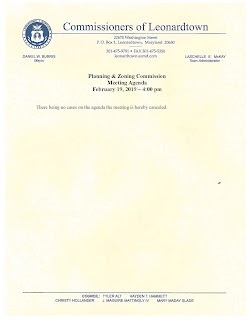 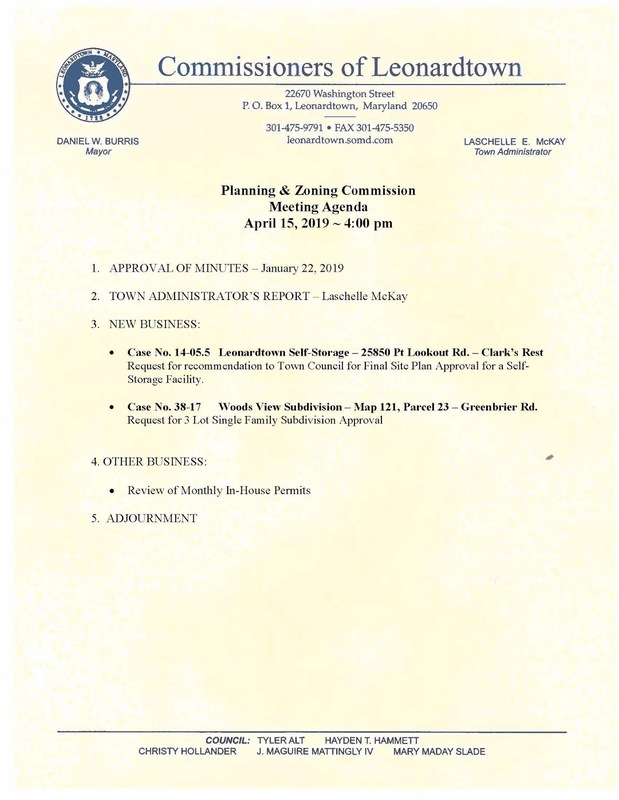 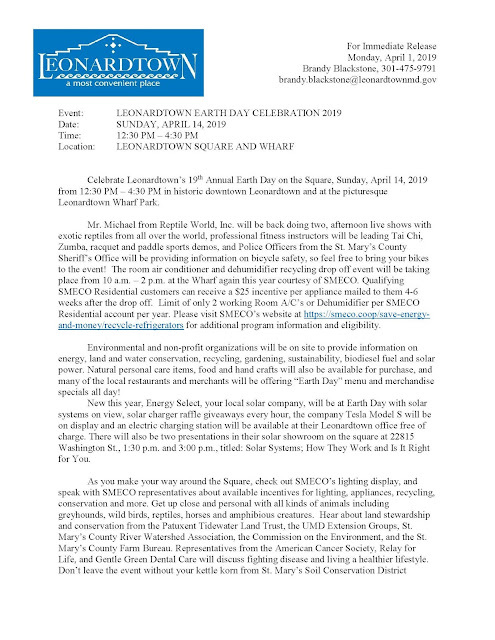 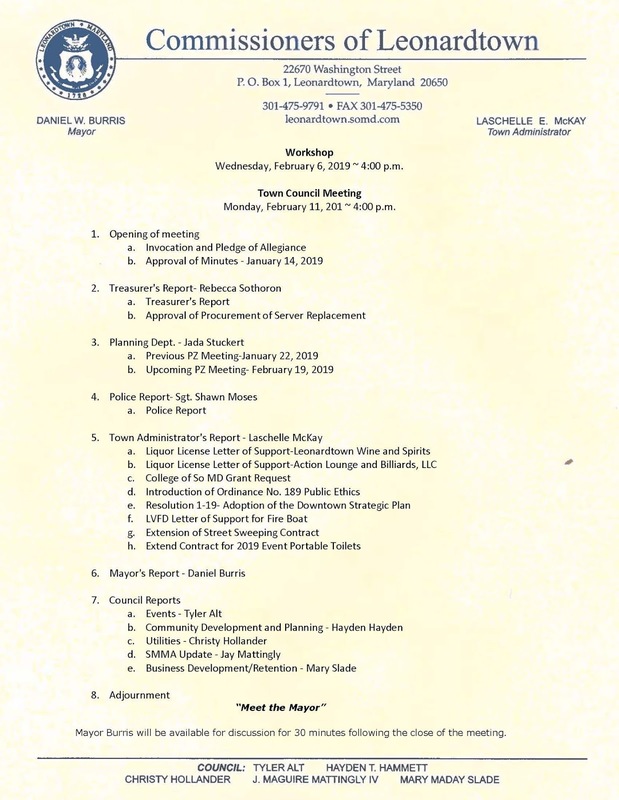 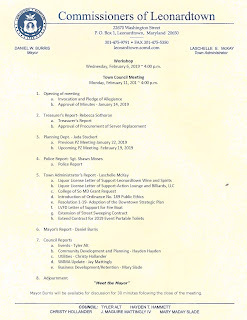 The Town of Leonardtown Planning and Zoning Commission meeting for Monday, February 18, 2019 as been CANCELLED as there are no cases to be heard. 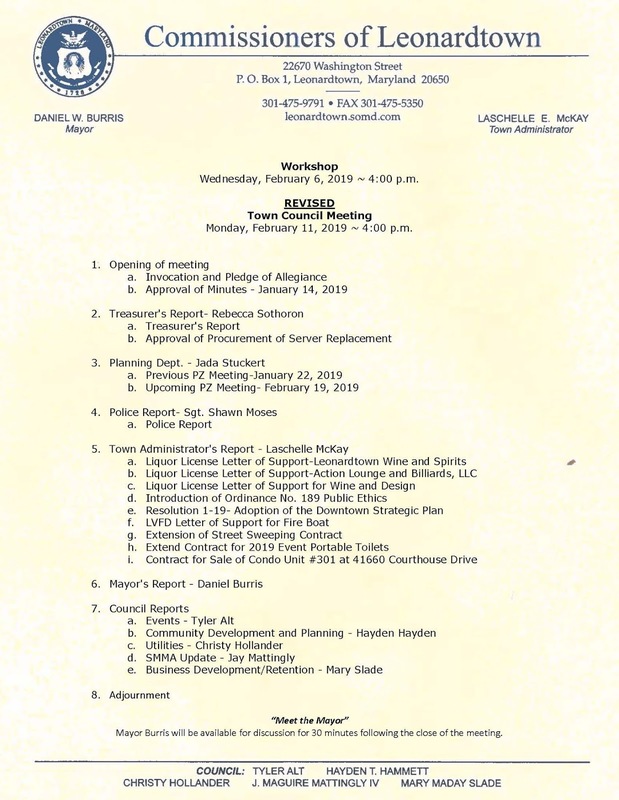 The next meeting is scheduled for Monday, March 18, 2019 at 4:00 p.m.
REVISED - Agenda for Town Council Meeting Monday, February 11, 2019 at 4:00 p.m.
Town Council Meeting - Monday, February 11, 2019 at 4:00 p.m.
and will re-open on Tuesday, January 22 at 8:30 a.m.
Trash Collection stays on regular collection schedule. The Town Council meeting for Monday, January 14, 2019 at 4:00 p.m. has been rescheduled to Tuesday, January 15 at 4:00 p.m.
Due to difficult road conditions today's trash collection will slide one day forward. Town Council meeting to be held on Monday, January 14, 2019 at 4:00 p.m. 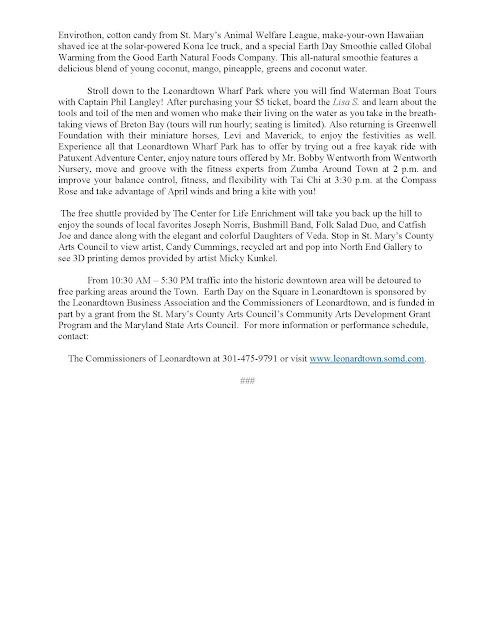 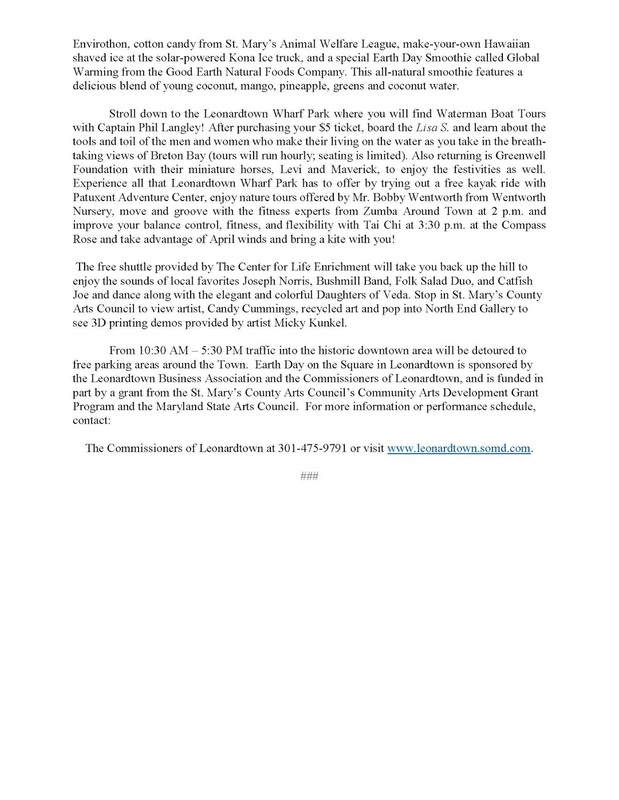 The Town of Leonardtown will hold the Town Council meeting on Monday, January 14, 2019 at 4:00 p.m. with a Workshop on Wednesday, January 9, 2019. You can also find the agenda and supporting documents on BoardDocs at https://www.boarddocs.com/md/tolmd/Board.nsf/ . The link to BoardDocs can also be found on the Town’s website on the front page left side under Quick Links.